Who doesn’t love the first sip of a glass of bubbly, or the whole glass for that matter. If you like me are a huge fan of bubbly (the fond term used to describe Méthode Cap Classique – South Africa’s own version of champagne produced in the traditional French method) you will be jumping around when you hear this news. A brand new (and exclusive) bubbly bar is opening it’s doors in Cape Town at the Steenberg Estate in Constantia. I know I’ll be visiting this exciting new thing to do in Cape Town and I hope I’ll be seeing lots of you there as well. Not only can you enjoy splendid Méthode Cap Classique, but you will also be filling your bellies with delectable eats prepared by the exectutive chef at Catharina’s. I’m excited …. are you?Gorgeous by Graham Beck, the first brand-exclusive bubbly bar in South Africa has opened its doors at Steenberg in Constantia, and like its surrounds, is set to rival the best. Deriving its name from the favoured term of endearment of the late Mr Graham Beck, Gorgeous is a statement in indulgent elegance, from the Vivienne Westwood* wallpapering to the Tom Dixon lighting above the bar. Guests can opt to linger in the comfortable lounge-style area or alongside the bar, elegantly finished in a Carrara marble countertop. The full selection of Graham Beck Wines’ award winning Méthode Cap Classique can be enjoyed with sumptuous canapés prepared exclusively for Gorgeous by Executive Chef Garth Almazan of Catharina’s restaurant, located in the same historic building. Among the five dishes on the menu are fresh Saldanha Bay oysters; poached tiger prawn; and asparagus and goat’s cheese risotto croquette. The canapés – including an indulgent dessert – have been created to complement the Graham Beck sparkling wines. These wines will be the exclusive beverage offering at the bar, either by the bottle or glass, with prices starting at R40 per flute and R200 per bottle. 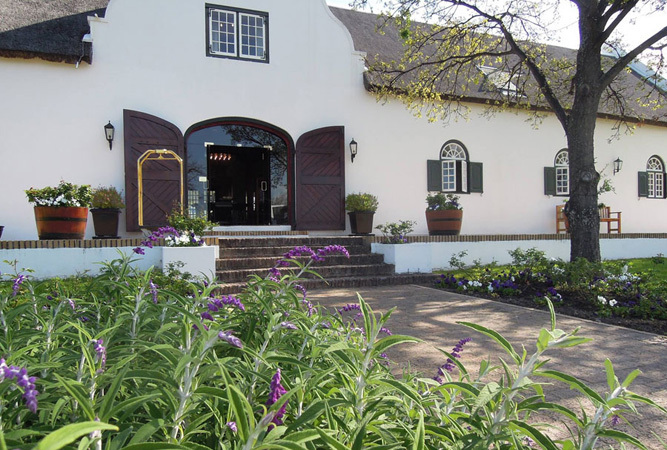 Guests may also opt to try a specific range; the three-wine non-vintage Graham Beck sparkling wines, the three vintage cuvées, or the iconic Cap Classique flagship, Cuvée Clive. Opening hours extend from 11am to 10pm seven days a week. Limited seating is offered in the intimate venue and no reservations are taken. Gorgeous is the latest addition to the world-class Steenberg estate, recently voted among the Top 100 Experiences in the World by the readers of Condé Nast Traveler in the USA. Steenberg’s features include the award-winning Steenberg Hotel, a wellness spa and 18-hole championship golf course, the Steenberg cellar door and Bistro Sixteen82, and Catharina’s fine dining restaurant.